Okay… When I’m REALLY sick, I really don’t care how I look! I have no intention to wear any makeup even if I look like zombie with my heavy dark circles and transparent skin. I just wanna get better… So when I’m extremely sick, I don’t wear makeup at all! First tip to brighten the whole mood is to be clean. When I’m sick, I’m extra clean. I like to use fresh sheets on my bed, fresh pyjamas, fresh towels, and of course, fresh brushes! As soon as I feel better enough to get up, I’d like to freshen my body by having a nice, hot body wash. (Hot water makes me feel better despite the heat outside) I’d use my favourite scented candles or a nice, fruity body wash. Using something with citrus fragrance always helps me. My go-to face wash is Clean & Clear’s Lemon Extract Face Wash (which is readily available everywhere) Its lemon scent is so refreshing! Next I would clean my brushes (currently using MAC Brush Cleaner, which takes time to dry, so I suggest you use something like Cinema Secrets Brush Cleaner, which dries amazingly fast) and leave them aside to dry. Sick or not, I want my skin to be moisturised. I love how light this Bulgari Face Cream feels. I’ve written about this in my What’s in my handbag on a long distance flight post. It doesn’t have a strong scent and keeps my face hydrated throughout the day. Next thing I do is applying this Clinique Moisture Surge Extra Refreshing Eye Gel under my eyes and a little bit on the lids. This is a non-scented eye gel that cools the eye area and gives an extra dose of moisture. You can wear this under or over makeup any time you need. I would let this dry and do my brows in the meantime. I have scanty, over-plucked eyebrows (that hasn’t grown in months!) In order to look groomed, my brows need to be filled to perfection. 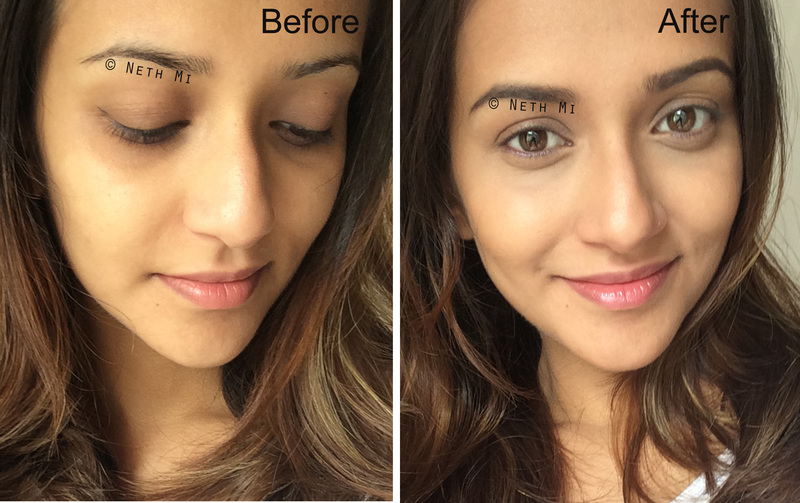 I like BH Cosmetics Flawless Brow Trio to save the situation. Third step is applying concealer on my under eye area. Since I’m not layering a lot of makeup today, I selected the concealer to match the rest of my face. My trustee is MAC Studio Finish Concealer in NW25. 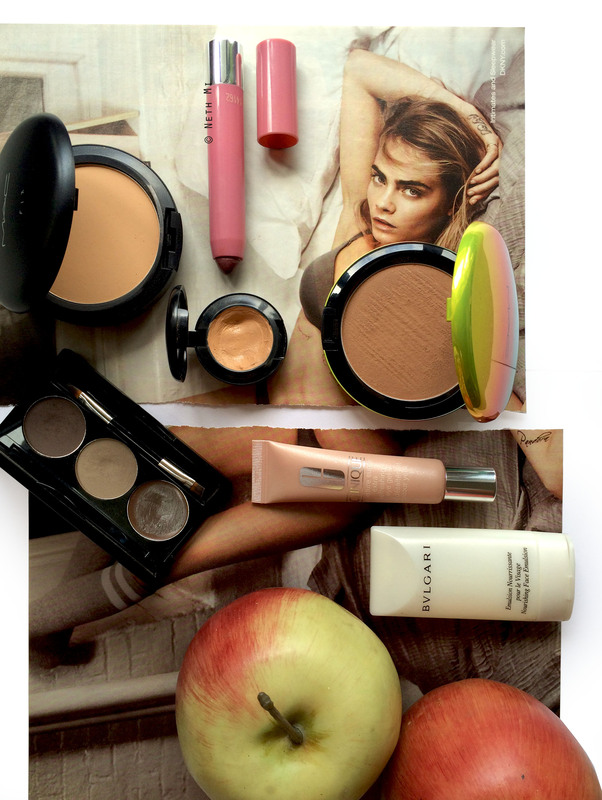 If you have heavy dark circles that need colour correction, I suggest you to use a MAC concealer in NW series because they have enough peach in it to counteract the darkness on your under eyes. As I want go light on the face, I’m skipping liquid foundation and using a powder foundation to give my skin the ability to breathe through. Powder foundations are great because they blur lines and pores too. My favourite is MAC Studio Fix Powder Plus Foundation in C5.5. I use a powder brush to apply this all over my face, concentrating more on setting the concealer under the eyes. To give a little bit of colour to my face, I like to put a little bit of bronzer because using just a concealer and foundation that matches my skin tone looks too flat for me. I use MAC Matte Bronze to give a nice, healthy colour on my face. I chose a matte bronzer because on sick days I prefer to keep my face completely matte. If you use brushes, make sure you clean them thoroughly and let them dry.